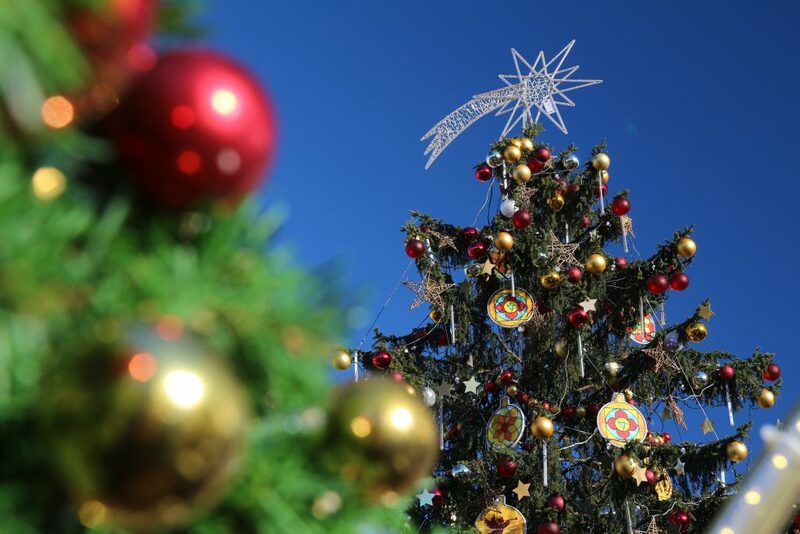 There is no doubt Christmas is the most beloved time of the year for almost everybody. And to make this time even more precious, many of us like to travel to experience a “winter wonderland” in various parts of the world. And many of us (you) make it to Prague as well. 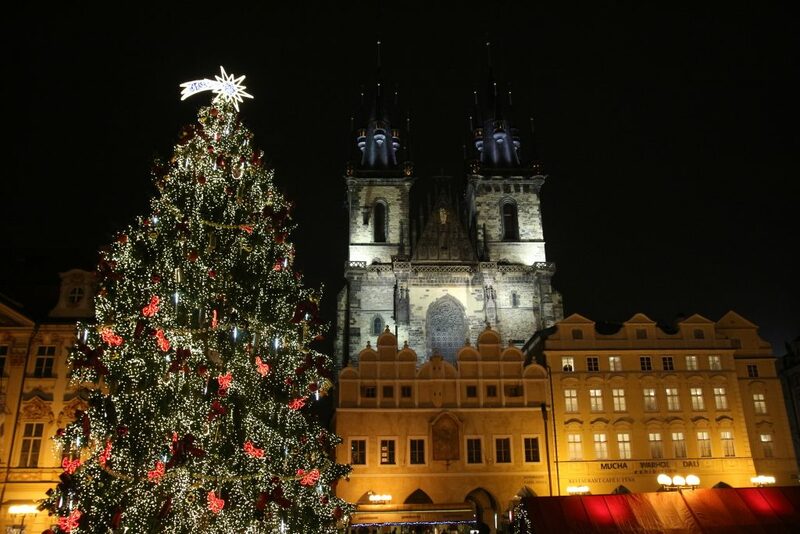 Well, what to see in Prague on Christmas then? 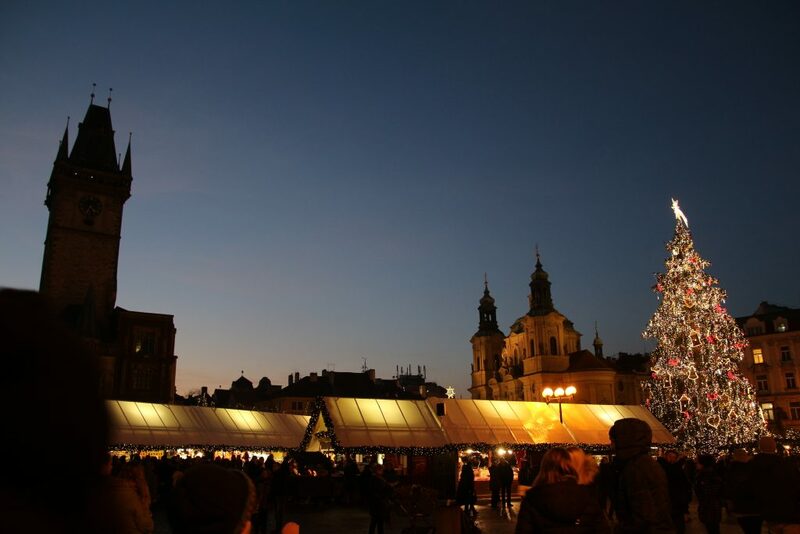 First of all, there are Christmas markets all over the city. Some start quite early, already in the half of November, some during the first advent weekend. Basically anywhere you turn round the corner there is something happening. Some markets are pretty old, with decades of tradition, some were born just recently. 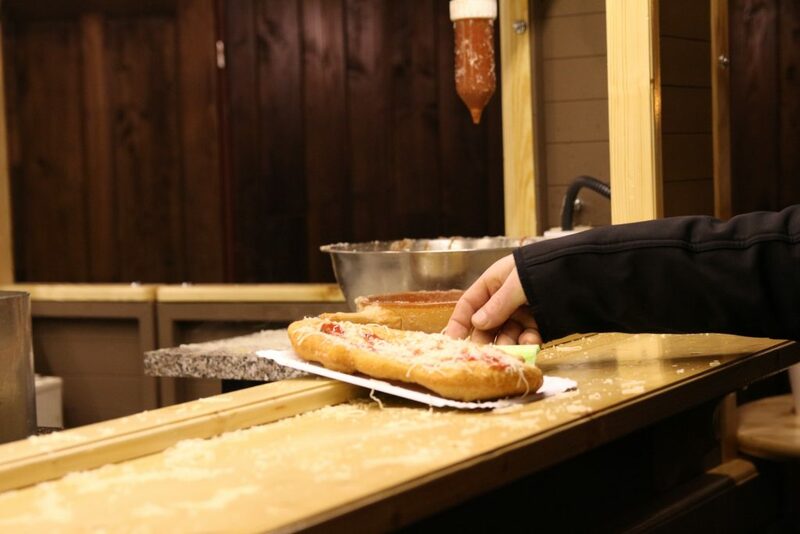 One of those newer markets is located in the Prague Castle area, just behind the magnificent St. Vitus Cathedral. 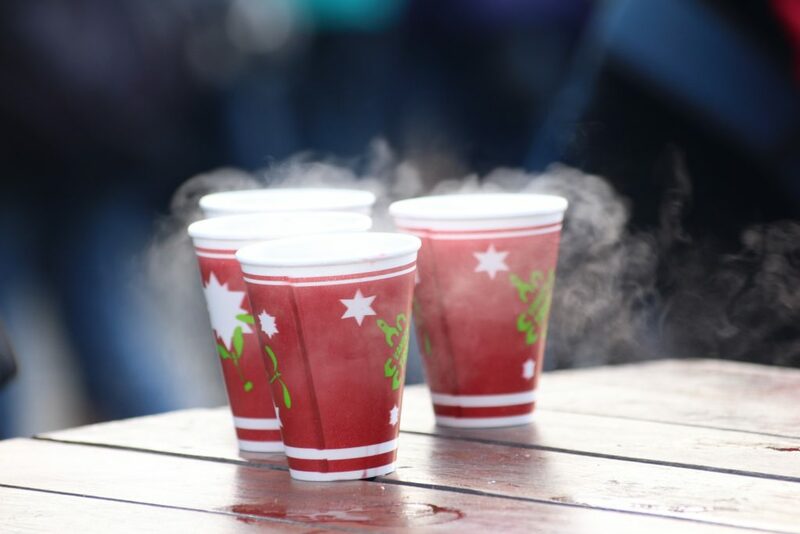 It is quite a great place to stop while touring through the Castle grounds, to take a break and have some hot drink. But, there is only one place that makes Prague so famous about markets. 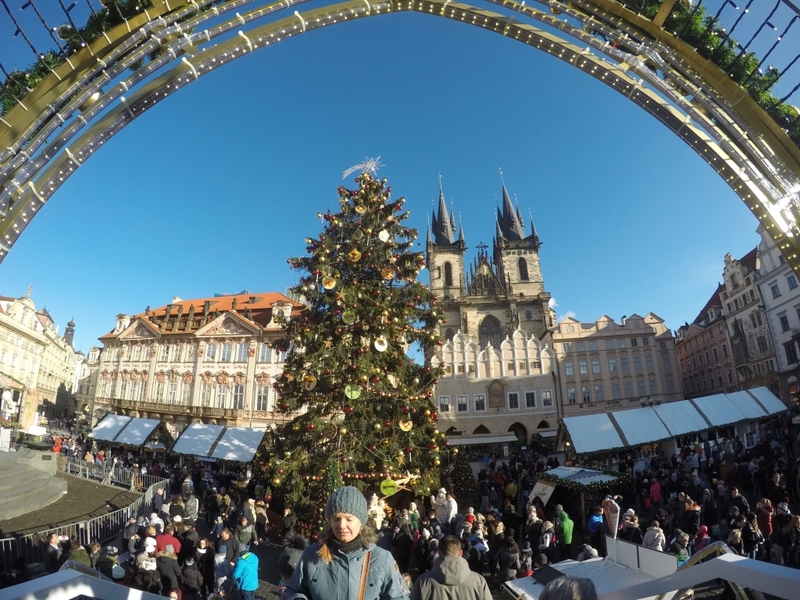 The best and the most beautiful of them all – the market on the Old Town Square. First of all, the surrounding buildings make the whole square amazing also without this embellishing Christmas decor. The stunning towers of the Church of Our Lady and facades of the renaissance houses everywhere you look make you believe that there is a way how to travel in time. These stone beauties are standing there for over 600 years and for another centuries hopefully will. The main part of the market is the Christmas tree. Each year, people from all the Czech Republic vote for the one that makes it to Prague’s city centre. It has to be the best tree in the country, the winner of “X-mas Tree beauty pageant” two thousand and something :). And as you can see, the vote was right. 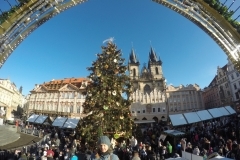 Once the market is over, Christmas tree is taken to the Prague ZOO and finds its second purpose, as a meal for animals. Amazing idea, isn’t it? 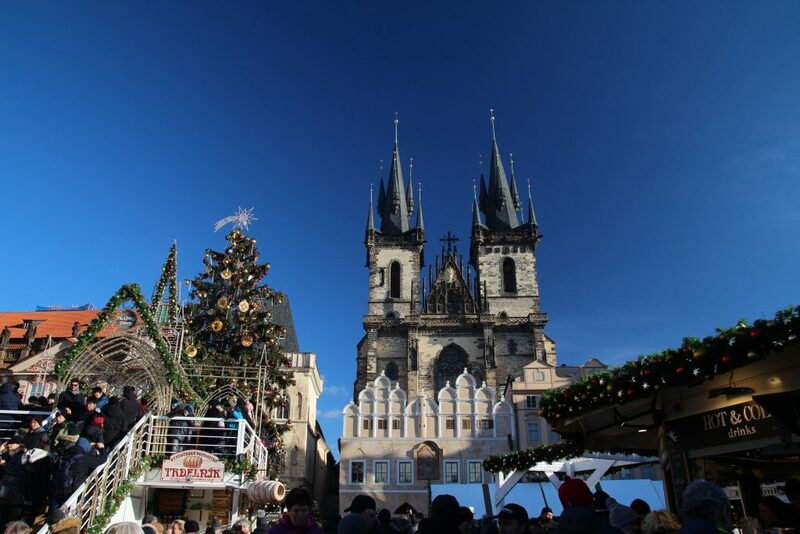 Happy Christmas, or as we say in Czech – Veselé Vánoce!